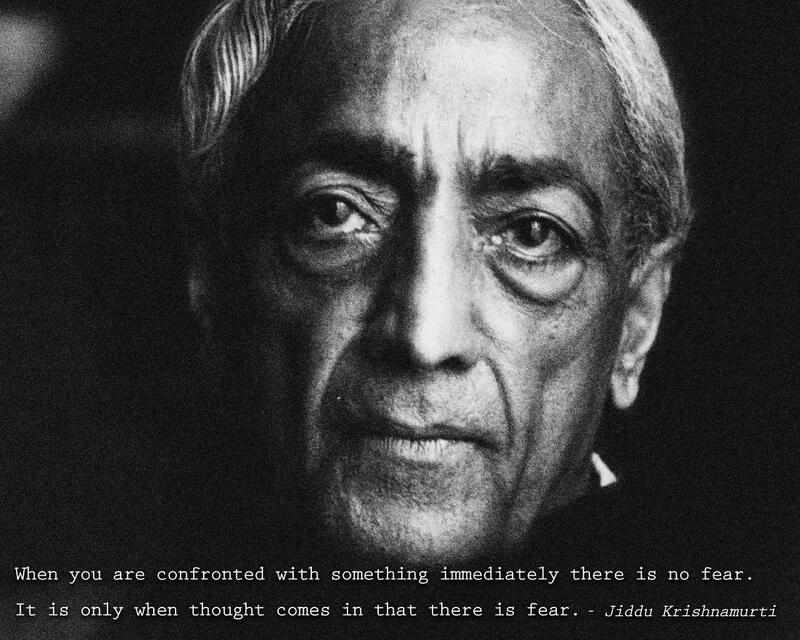 I came across some of the thoughts of j Krishnamurti recently. He is strikingly inspiring and original. A true intense human being. I kept on reading as it appealed to me. Recently I saw some of his dialogues. A special one was the one with the Buddhist monks. He explained in it his definition of truth. I am hesitating here writing some of the words like ‘definition’ because it implies something bound in some meaning. But what he tried to explain was nothing of that sort. He tried to BE the INSIGHT to see for other people. It wasn’t to be bound in words or definitions or formulae. It was something to be seen! It was getting difficult for all of the Buddhist scholars present there to see what he was trying to show them. Using words he was outlining it briefly. Using expressions and gestures he was trying to show the right attitude for grasping it. He kept on reminding the intensity needed while exploring the truth. He kept on opposing all the ignorant “I know” statements. He kept on avoiding the attempts of formulations. In all it was an intense dialogue of about one and a half hours. It was an experience. So he posed a question about this becoming. The question was, why have humans been trapped in this ‘becoming’? Why this psychological time got created in first place? What made us measure, compare ourselves to one another? Why do we compare ourselves to another? In my view, the reason behind this is the ‘struggle for survival’. From the earlier times human have found his surviving key in the ‘social living’. Survival has brought on each and every living creature on this planet a need to become, a need to adapt. To adapt to the situation we need to be something physically, we need to adopt a way of living. So while survival was the preference, adaptation, adoption and becoming were the crucial things which dominated the human mind for centuries. In a man-made society, for an individual to survive, he has to prove his worth even today. So according to living being’s instinct, it is survival which gets most priority. So if suppose we create a situation for an individual where he is not kept secured, he will first of all try and create a safer space in a society by creating his own identity based on his worth! He will try and assert his identity on the society to make sure he is secured. And in doing that he will compare his worth to his competitors. Ambition to achieve a respectable position is nothing but an effort to create a safer space in the social structure. So why don’t people feel safe at one point when they have achieved enough? Because there always will be someone or the other to compete with! It is a lifestyle. It is so deep rooted in the minds of people because it is a way of living. Feeling disrespected or not enough respected is the main source of feeling insecure which will again drive an urge to become! If we see today’s lifestyle, there is no definite security, definite respect guaranteed. We have to earn it. So it is this ‘survival instinct’ which introduces this way of living. ‘Survival instinct’ is most powerful of all the human instincts. Now suppose of a hypothetical society, where this problem of survival is resolved. Everyone is equally respected, position and contribution of everyone to the society is clearly defined. Suppose these are not only ideal values on which the society is based but this how the way of living is! Then will there be any use of comparison? Will there be any use of measurement? I don’t think so because by becoming something else or adopting something, no one will gain any more. This is a hypothetical case which I am discussing just to see if this ‘becoming’ is the product of survival instinct. It is really difficult today to imagine of a society where everyone is equally respected. And the reason behind this is that today’s way of life is deeply embedded in our minds. All our conditioning is this way of life. J Krishnamurti posed an amazing question, gave an amazing thought (I won’t say ‘insight’ yet) but this is just the one of many I would say. This beautiful question is a living vibrant entity in itself without its answer!